A HO scale model of the ETSA's MDH shunter as used by them for the (now demolished) Power Station at Port Augusta built using Comrail Models' 3D Prototyped body and a Hollywood Foundry mechanism with detailing as can be seen in part in the "in build" picture. 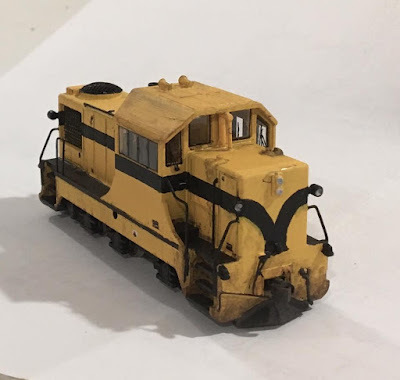 I have packed quite a bit of weight into the spare spaces and this loco both runs and pulls very well. 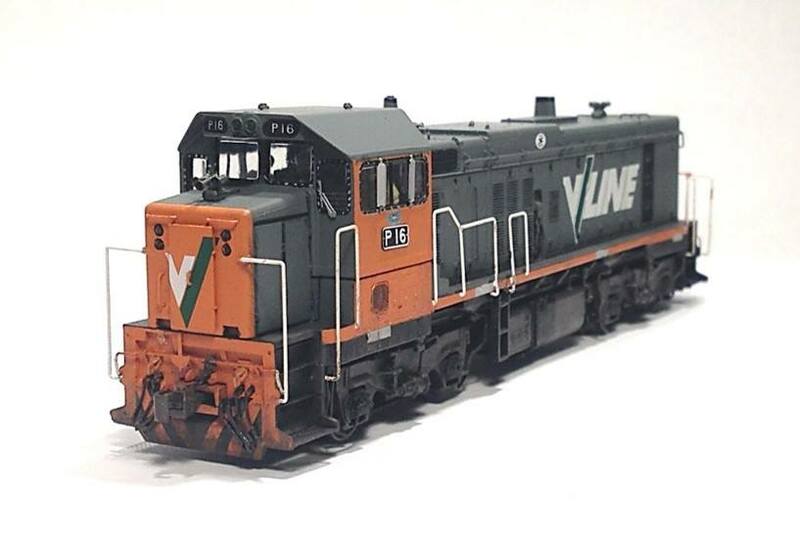 Bendigo Rail Models' (Auscision) V/Line P Class detailed through mostly paint-detailing, weathering and adding a more realistic crew. 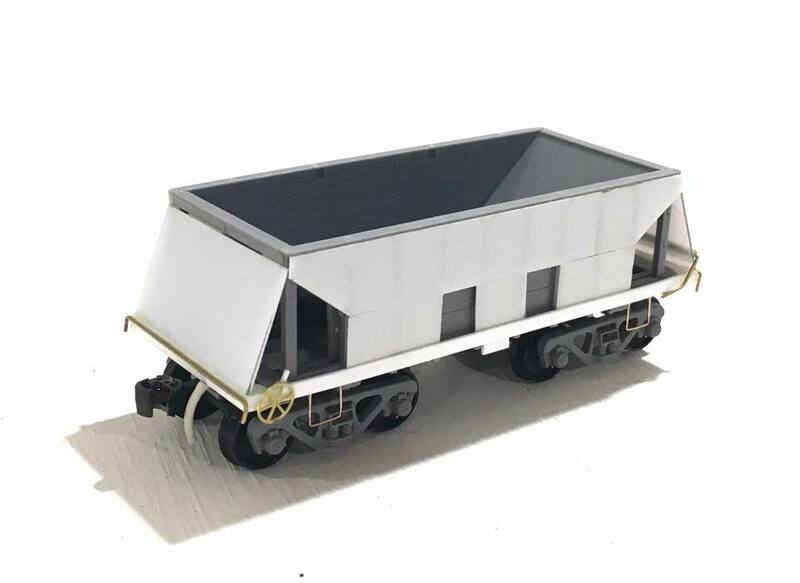 Ore bogie wagon has a Tichy Trains ﻿kit as its base with Styrene overlay, styrene and wire detailing and Steam Era Models bogies. 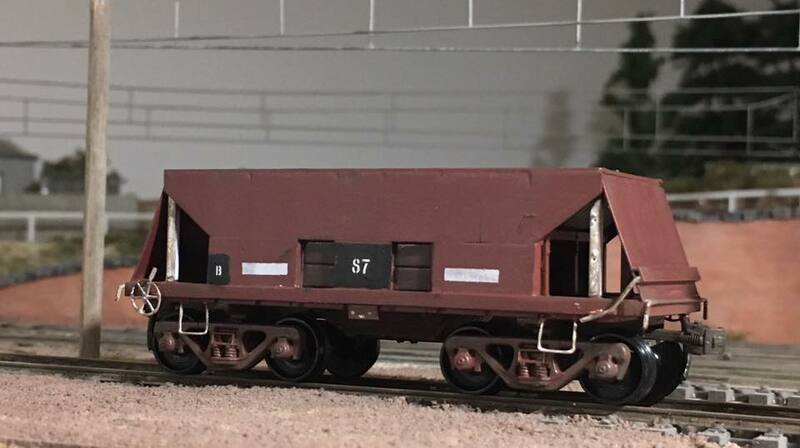 This produces a slightly short but credible model of BHP Whyalla's wagons. HO scale model of one of Morrison-Knudsen's rebuilds of BHP Whyalla railways DE Class. 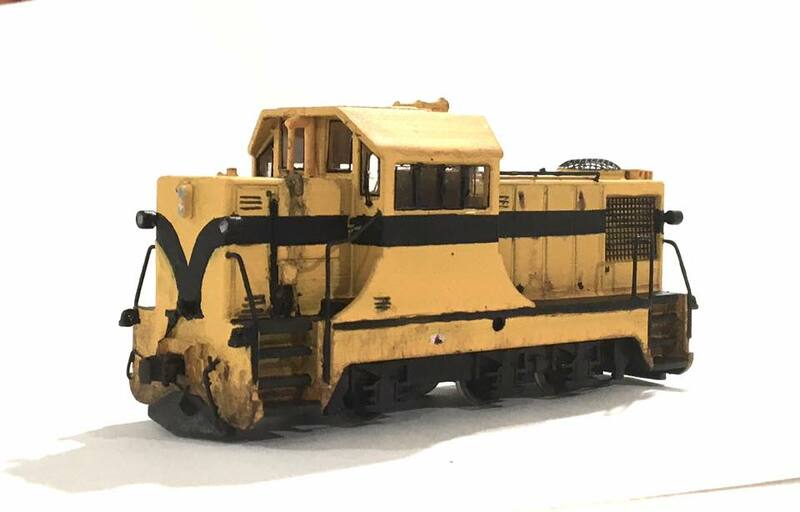 Chassis is a quite modified BRM VR T Class, body is primarily a CAD/Rapid Prototyped shell with styrene and brass ﻿detailing. Decals were own design, produced by Signs of All Kinds in SA. 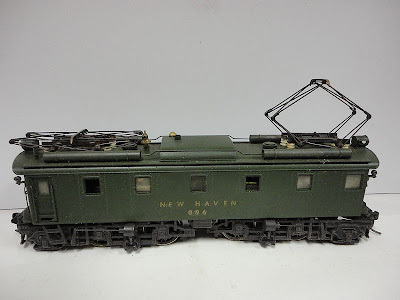 A standard Indian (later Pakistan) railways C van in HO scale, this one intended for the North West Railway. Construction is styrene sheet for the van walls with a modified Steam Era Models (SEM) U van roof, and a modified SEM Z van chassis. Detailing is in strip styrene (I didn't worry about the many many rivets this time!) with the ribbing formed with sectioned U channel bent to shape. Buffers and brake ratchet also from SEM. the van remains in brown gloss as I haven't yet decided on the lettering, so dullcote and weathering awaits decals. 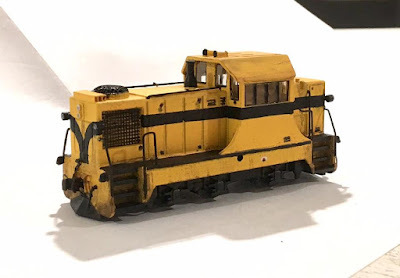 My "Glenburn" layout has been fortunate to host some different runnings often for modellers who don't have their own layout at this time. I may add in more pictures as these events occur. "Glenburn" hosted Phil Dunn's exquisite Micro Metakit model of a Bavarian S1 which other than the wheel arrangement and detailing is surprisingly close in many of the main dimensions to the VR's V Class. Showing Victoria and NSW's different approaches to the same task. 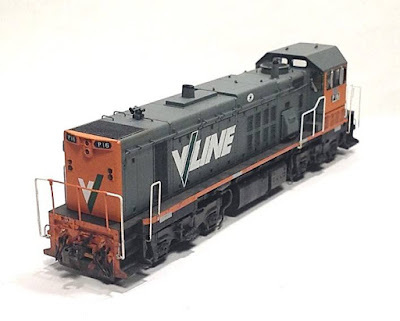 The VOFX is built up from an AMK Engineering kit (with Steam Era Models bogies) and added detail - handrails, additional fine tarp rope railings, brake chain and motion, air hoses, tarp and card tarp supports, decals and Kadee #58 couplers. 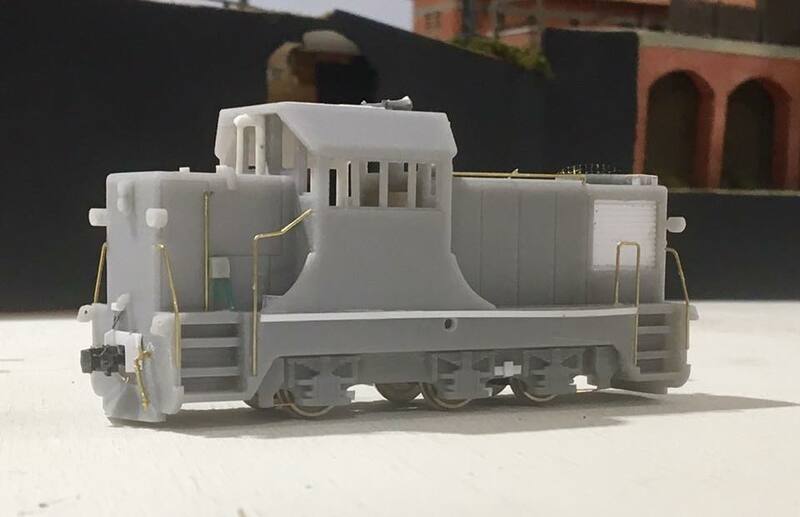 Other than that it's a pretty standard build of the kit. 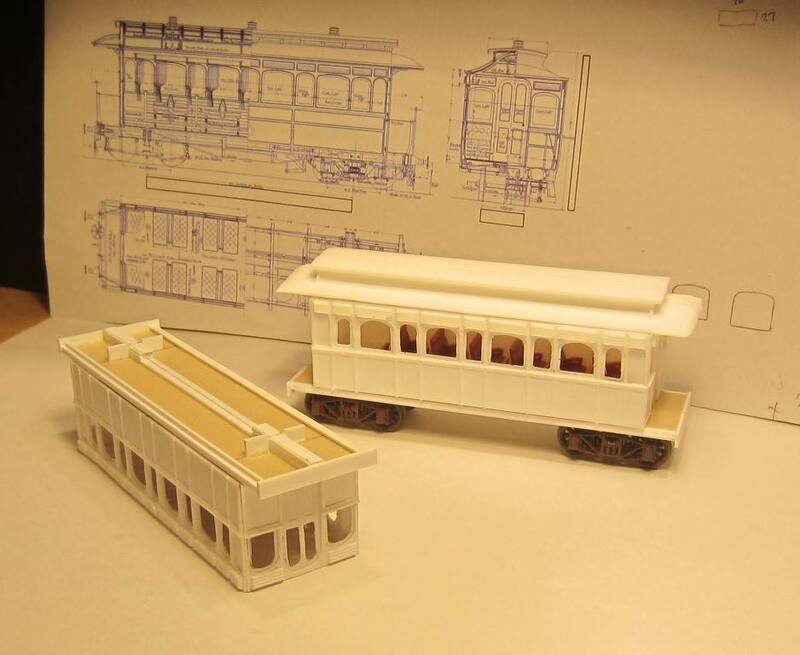 I have included some pictures below showing the progression of the build. Showing the added tarp rope railings per several VOFXs seen on Shepparton-Scoones Siding (Kyabram) traffic in the late 1990s. Showing card formers cut out to the shape of the "lower" style of tarp support gear. Tarp formed and printed from PC drawing of same and weathered with wagon again in accordance of VOFX's seen in teh Shepparton area as mentioned above. 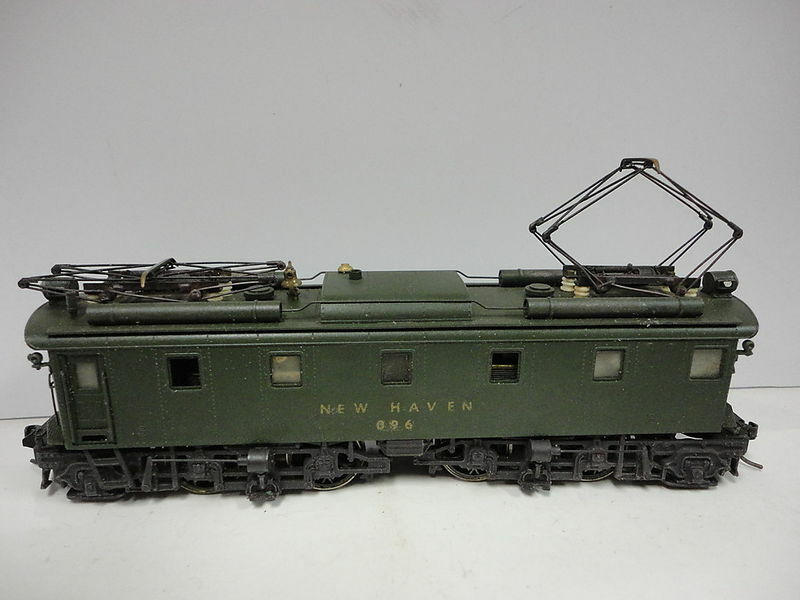 This New Haven Railroad EF-1 is a brass model dating from c.1968 which was purchased in the condition shown in first two pictures above. 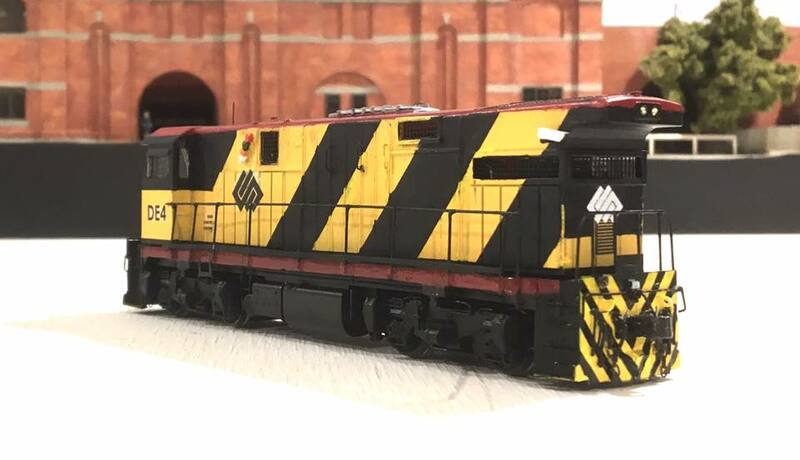 After a fix/repaint/re-decal, it has come up quite well given the model’s age. 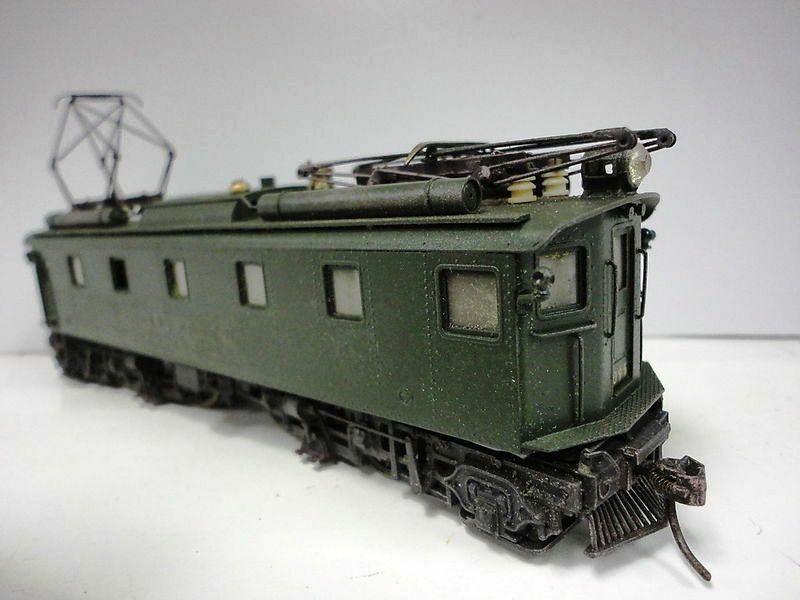 Paint was Scalecoat Pullman Green for the body, and a mix of sprayed and acrylic black for the roof and chassis. Decals are an excellent new product by Model Memories, lenses are by MV, and the body has a finishing coat of Dullcoat. For the layout pictures I set the loco up with the closest Victorian Railways wagons I had, however while the first was a VR version of a US pattern, they don't suit as well as a "proper" US rake would. 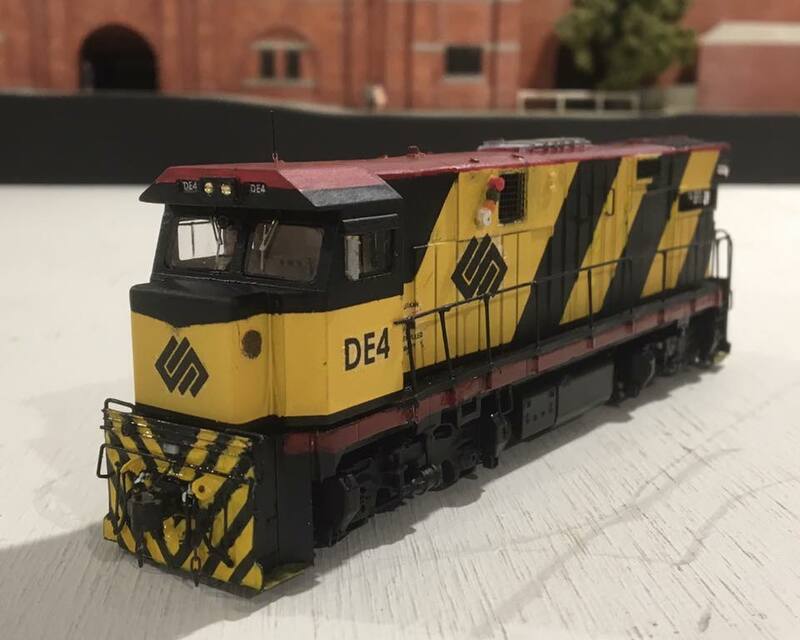 I had intended to give the EF-1 an occasional run on my layout "Glenburn" however sadly the layout shots show why I may well have to sell it - The pantographs exert too much pressure on the catenary leading to slippage and wire tangling, and running without pantos up just isn’t much chop. 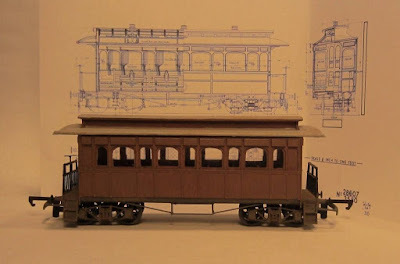 I don't want to mess with the springs or replace the pantographs as that will affect the integrity of the model. 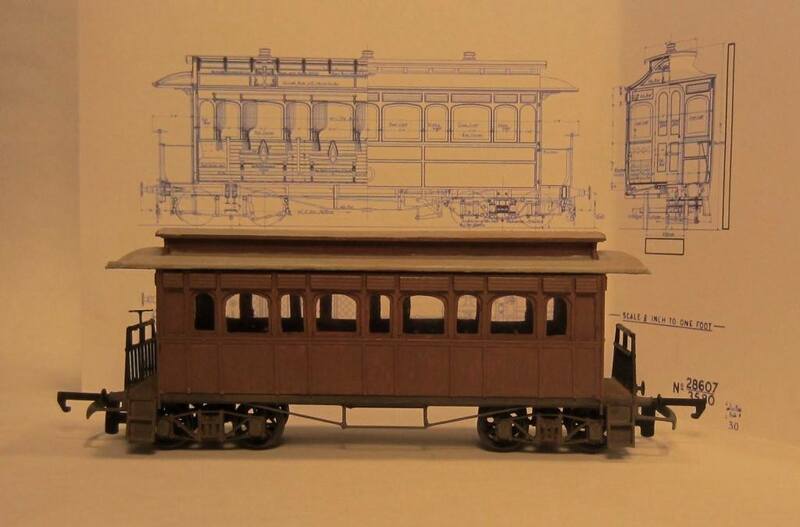 It has nonetheless been an enjoyable restoration of what to me is an attractive prototype. A John Eastaff Models (JEM) HTT Maximum Traction Bogie tram kit with a later roof kindly supplied by JEM (from the SECV version kit) and other minor modifications to represent it during it's later M&MTB days in the mid 1930's.